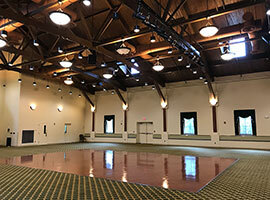 Consider holding your next event at the Helen Butler Event Hall & Conference Center at Dominican Village! Conveniently located in Western Suffolk County on 13 picturesque acres, Helen Butler, O.P. 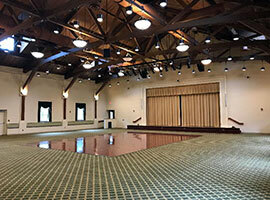 Hall offers the perfect venue for special occasions, corporate events and the performing arts. Since we accommodate only one function at a time, your event is guaranteed to be private and truly spectacular! Treat your guests to a unique experience in our beautifully decorated and immaculate facility. 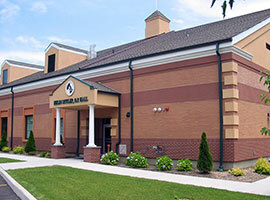 Whether you are hosting a small meeting for 10 or a reception for 200, our facility is at your disposal. Let us help you plan your next event! We can make recommendations for local caterers that offer affordable pricing, or you can use your own vendors. We can customize solutions to fit almost every need! Contact our Development Director at 631-842-6618.